At the end of Year R (the Foundation Stage), each child will be assessed against 17 key areas called the Early Learning Goals (ELG’s). This is known as the Early Years Foundation Stage (EYFS) Profile. 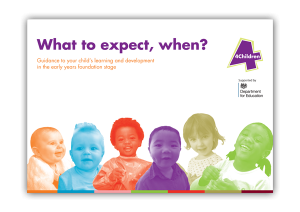 For each early learning goal, a child is assessed to establish whether he/she is meeting the level of development expected at the end of the Reception year (‘expected’), exceeding this level (‘exceeding’), or not yet reaching this level (‘emerging’). 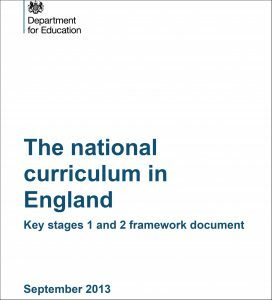 This will support future curriculum planning and will provide the Year 1 teacher with important information about each child’s approach to learning. You can find out more about assessment on the Foundation Years website. Click the image to download this guide for parents. It shows you how you can support your child during the foundation years and what you can expect from the professionals working with your child.